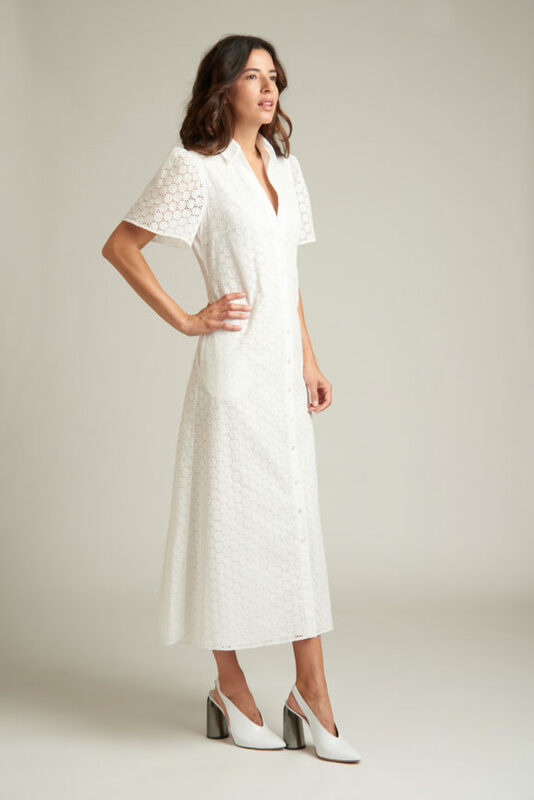 An ultra-feminine silhouette cut from a delicate, cotton eyelet. This short-sleeve bodice has a fit-and-flared shape with a carefully nipped waist and detailed sleeves. The midi-length adds to its elegance and versatility. It works with just about any type of shoe.